The 2016 Fife Business Awards category winners were announced in front of over 300 guests from the Fife business community at the Fife Chamber of Commerce showcase event held in Glenrothes (on Friday). Hosted by broadcasting personality Kaye Adams, the ceremony was a fantastic celebration of Fife’s diverse and successful business community. The variety of entrants showcased the region’s breadth of expertise and innovation, with judging panels sifting through a large number of high quality entries from some of the Kingdom’s most successful and innovative businesses. This year’s Awards marked a welcome return to an annual timetabling for Fife’s leading business event, attracting a high number of entries from aspiring Fife businesses. 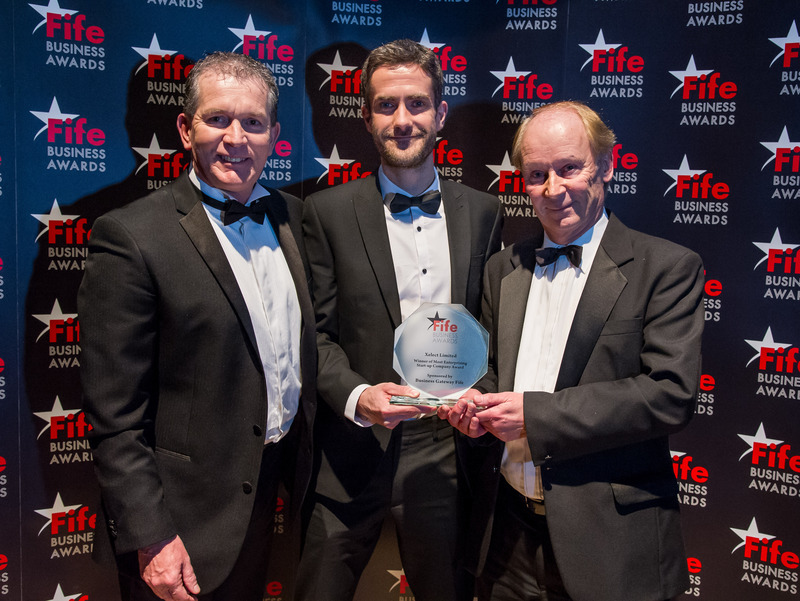 “The Fife Business Awards are known as the pinnacle event in the Fife business calendar, and we’re extremely happy that the strength and popularity of the Awards over recent years has given us the opportunity to return to an annual event. “There have been testing times for Fife businesses in the last year, but at the Chamber we see a vast network of successful, innovative and inspiring businesses, and business people, willing to overcome challenges on the path to success. “It is our great pleasure to be able to recognise these businesses through the Fife Business Awards and we were staggered by the excellence in all of the award submissions. Judging panels, drawn from the local Fife business community itself, received presentations from each shortlisted business before the winners were decided. Attendees also raised over £3000 for Fife Chamber’s chosen beneficiary charities, Fife Society for the Blind and Alzheimer Scotland.